Food allergies make the world a dangerous place for many children. Here’s what’s being done to help the kids flourish. Lianne Mandelbaum says it took about seven years for it to sink in that her son’s food allergies could kill him. Josh was barely walking when he was diagnosed—he broke out in hives on his first birthday after eating a cupcake, and tests showed he was reactive to the eggs in the batter. (Later tests showed that he was also severely allergic to peanuts.) The Mandelbaum family responded with watchfulness but not with fear. They did a lot of cooking and baking at home, developed a roster of restaurants they could trust and felt lucky that the schools their older kids had attended were allergy-aware. That was the backdrop as Mandelbaum and her kids sat in the airport departure lounge waiting to board their United Airlines flight home. When another mom overheard Mandelbaum tell Josh that he couldn’t go into a fudge store that was whipping up peanut butter fudge, she suggested that Mandelbaum and her kids move to a different part of the waiting area, because her family of five was about to break out a bag of peanuts. Mandelbaum and her family changed seats, but the other children followed them and started throwing peanuts into the air and crushing them underfoot, pointing at Josh and laughing. They didn’t get on the plane. But this is not a story about feeling unsafe and hopeless. When Mandelbaum got home, she launched a campaign to raise public awareness of the issues that affect food-allergic passengers. In the years since that 2013 incident, she’s become a tireless advocate for airline policies that take food allergies into account. She founded a website called No Nut Traveler to be a resource for allergy families concerned about flying safely. It’s a forum where people share the good experiences they’ve had in the air (some airlines are known for being caring and solicitous) and the bad ones (another airline is the subject of a complaint lodged with the Department of Transportation). 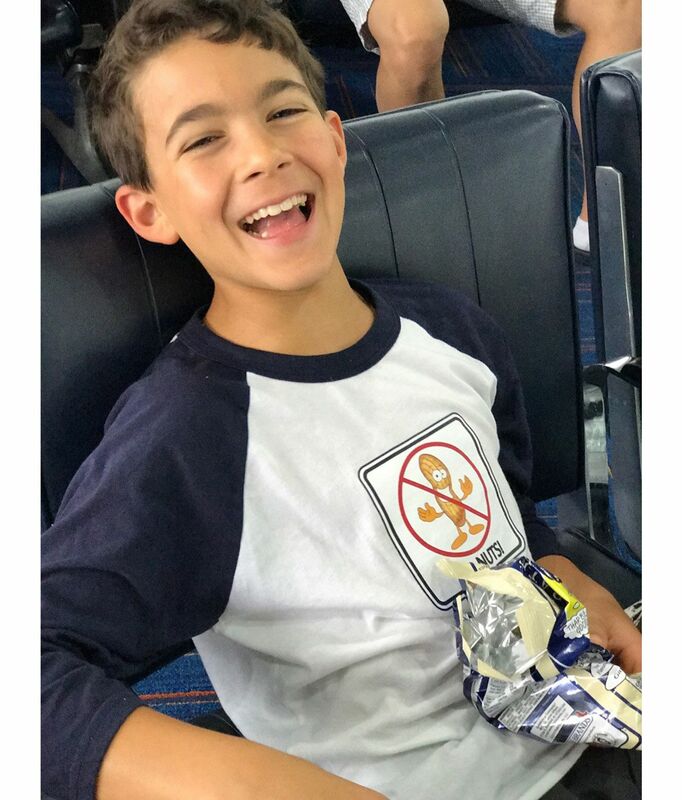 Thanks in part to the attention that Mandelbaum and other parents have brought to the issue, Southwest and other airlines recently stopped serving peanuts on flights. In other words, the Mandelbaum family’s experience illustrates an important point about the difficulties and the promise facing food-allergic families these days. Navigating life after a child’s diagnosis is challenging and full of risk, experts say. Yet more and more families face it: Food allergies are on the rise, though researchers aren’t sure exactly why—the Centers for Disease Control and Prevention (CDC) says that the prevalence of food allergy increased by 50 percent between 1997 and 2011. While a firm count is impossible to come by (more on that later), scientists estimate that as many as 15 million Americans—including almost 6 million under age 18—have to avoid at least one food in the name of safety. Still, in the past decade or so, changes in policy, attitudes, and scientific understanding have made coping with food allergy easier, and new advances hold the hope of further improvement. We wanted to know what’s making a difference when it comes to diagnosis, day-to-day safety and the cutting-edge science of keeping allergic kids safe, so we checked in with food-allergic families, advocates, clinicians and researchers. Here’s what they had to say. You would think that the upside of a condition that triggers hives, swelling, wheezing, and worse is that getting a diagnosis, at least, would be straightforward. And for kids who have had severe reactions, known as anaphylaxis, you’d be right—there’s no mistaking that degree of an allergic response, even if it’s sometimes challenging to figure out what caused it. But the detective work becomes more difficult when the reaction is less extreme, because other issues besides allergy can trigger discomfort after eating. For instance, lactose intolerance makes it difficult to digest the sugar naturally found in dairy products. That can make a child feel miserable after a glass of milk or a plate of mac-and-cheese, but lactose intolerance isn’t an allergy (which by definition involves an immune system response). It can’t trigger a life-threatening reaction. Yet research shows that parents sometimes jump to the wrong conclusion when kids have trouble with food. In a study of one group of children, for instance, 12 percent of them said that they had a food allergy—but when doctors investigated, only 3 percent were actually allergic. Making things more complicated, the most common tests for food allergy can be misleading. Both the skin-prick test, in which a doctor scratches a drop of solution containing an allergen on the child’s arm or back and watches to see if a wheal (or hive) develops, and the IgE blood test, which measures the level of IgE antibodies (immune cells that react to specific foods), can indicate an allergy when one isn’t really there—what’s called a false-positive result. Rarely, these tests can also give an all-clear when a child actually is allergic (a false negative). 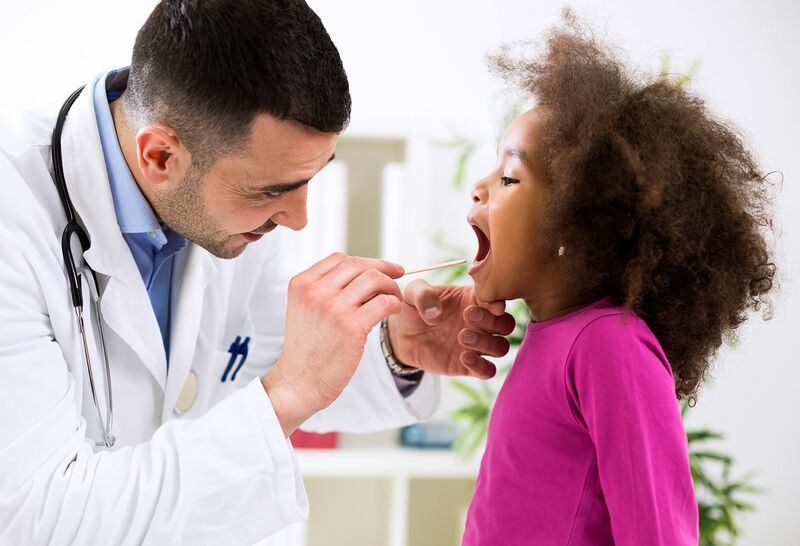 The gold standard in allergy testing is the oral food challenge, in which the child is given small doses of the suspect food under medical supervision. It’s highly accurate but because it’s time-consuming and can potentially provoke a serious reaction, it’s generally used for diagnosis only if other methods haven’t produced a definitive answer. The over-reporting problem means that researchers don’t have a firm handle on how many kids suffer from food allergies, but it is on the rise—in adults as well as kids. In fact, the CDC estimates that food allergies increased 18 percent from 1997 to 2007 and now affect 4 to 6 percent of children in the United States. So the chances are high that most schools will have a few children with a food allergy at any given time. That was the end of Brett and her husband keeping nuts safely sequestered on the highest shelf in their cupboards. And it was the beginning of a collaboration between Brett and Henry’s school on a more rigorous plan for keeping him safe—not just by preventing him from accidentally ingesting nuts but also by ensuring that he doesn’t accidentally come into contact with nuts or nut residue left behind by another student. Kids in Henry’s class, where there’s another child with a severe food allergy, have to wash their hands after eating. Henry and the other food-allergic child drink water from bottles instead of using the water fountain, which could be contaminated by a child who’d had a PB&J sandwich for lunch. (The water bottles are provided by Brett and the other food-allergic family.) When the kids use computers, the keyboards get a wipe-down before Henry and the other child start working. When Henry enters middle school, all these accommodations will be part of a 504 plan, a document that Brett and her husband will draw up with the school to clarify exactly what needs to happen to keep him safe and allow him the same access to education as any other child. 504 plans are covered by the Rehabilitation Act of 1973, the federal law that protects students with disabilities. Most children with severe food allergies are eligible. For years, the advice from experts was clear. To prevent peanut allergy, parents should avoid giving any peanut products to babies at high risk of developing the problem (because of a family history of it, or because the child had other food allergies or eczema) before age 3. But as parents followed those recommendations, the incidence of peanut allergy kept rising. And rising. Then, about a decade ago, a chance observation laid the groundwork for a big change. Researchers noticed that Jewish children living in the United Kingdom were about 10 times more likely to be allergic to peanuts than Jewish children living in Israel. These kids shared the same ancestry, so a genetic difference was unlikely to explain the pattern. Was there something different in their upbringing? There was. The children in the United Kingdom were rarely given peanut products in infancy, while Israelis often gave their little ones a snack called Bamba, made of corn and peanut butter. What followed was the Learning Early About Peanuts (LEAP) study—the first randomized trial to prevent food allergy in a large group of high-risk infants. More than 600 children who were at high risk of peanut allergy were randomly assigned to one of two diets from the time they were less than a year old until age 5. One group regularly ate foods containing peanuts; the other avoided peanuts entirely. At age 5, only 3 percent of the kids fed peanuts had developed a peanut allergy, while 17 percent of the peanut-avoiders were allergic—a result described as “huge, amazing news” by a pediatrician blogging for the American Academy of Pediatrics. In 2017, the National Institute of Allergy and Infectious Disease issued guidelines to help doctors and parents put the new approach into practice. Babies who are considered high-risk for developing a peanut allergy—because they’re already allergic to eggs, or because they have severe eczema that doesn’t respond to treatment—should be given peanut-containing foods (not whole peanuts, which are a choking hazard) as soon as they start transitioning to solids, at about 4 to 6 months. For safety’s sake, these high-risk children should be tested first and get their first bites of peanut products in a doctor’s office. Other babies—those with mild-to-moderate eczema or with no known allergic conditions—can be given peanut-containing foods at home starting at about 6 months of age. Of course, for all the hope sparked by the new thinking, it’s important to recognize its limitations—namely, that it applies only to peanut allergies, and is about prevention, not treatment. Once a baby or child develops a food allergy, avoidance is still critical to keep them safe. But other studies hold promise for children already struggling with allergies. They involve immunotherapy—treatments that enlist the immune system in preventing an allergic reaction. You know the approach—think of the allergy shots that make spring bearable for people with hay fever or allow those with an allergy to cat dander to pet a kitty without swelling, sneezing and breaking out in hives. At this year’s annual meeting of the American Academy of Allergy, Asthma and Immunology, researchers reported on the results of studies on two different approaches to immunotherapy for peanut allergy. In one, allergic volunteers (mostly children and teens) were given tiny but gradually increasing doses of an investigational medication derived from peanut protein, which they stirred into something like yogurt or applesauce, downing the mixture every day for six months. The regimen proved very effective, says study leader Brian Vickery, MD, currently associate professor of pediatrics at Emory University School of Medicine. (Dr. Vickery led the study for the biopharmaceutical company Aimmune Therapeutics, where he was senior medical director.) 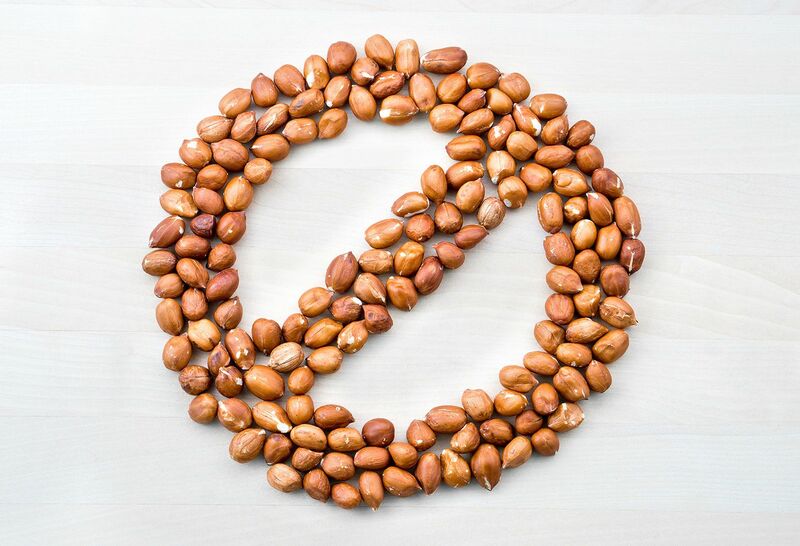 The volunteers were extremely sensitive to peanuts at the start of the trial—during an oral food challenge, just a fraction of a peanut was enough to trigger a reaction. But by the end of the six-month study, a full 67 percent of the treatment group was able to eat the equivalent of about two peanuts without a reaction, compared to just 4 percent of the placebo group. In the research world, that’s a home run. “You don’t need to be a statistician to see it,” Dr. Vickery says. For both approaches, much remains to be worked out, including how long treatment has to last—the current assumption is that it will have to continue for life. It’s also not clear whether real-life complications like a bout of flu or an asthma flare (many kids with peanut allergies also have asthma) can rev up the immune system and make a reaction more likely. But these studies are remarkably promising, Dr. Vickery says. Both treatments are currently under review by the Food and Drug Administration (FDA), which has given them special “fast-track” and “breakthrough” designations—labels that promise an expedited assessment and are usually reserved for treatments for diseases like cancer. If the FDA approves these treatments—they appear to have a good shot—it will be critical for people to understand that they do not amount to a cure. Children who have been through immunotherapy will still be allergic to peanuts; the hope is simply that they’ll be less likely to have a lethal reaction to an accidental exposure, though no one can be sure of that until a real-life test occurs. So teachers, restaurant workers and everyone else will still have to be alert to these kids’ needs—and that will be true even if other treatments follow for allergies to tree nuts, eggs and other foods. Nevertheless, immunotherapy may provide a safety buffer, and that’s a very big deal indeed. One of the most important safety steps for anyone with a food allergy is to carry an EpiPen or other epinephrine auto-injector (such as Auvi-Q and Adrenaclick). Unfortunately, that’s not as simple as it sounds. The lifesaving devices have been in short supply for months, and many families were unable to buy fresh ones to send with their children at the start of the school year. The FDA has taken several steps to ease the shortage, such as extending expiration dates and approving a new generic competitor, but it will take time for the situation to improve. 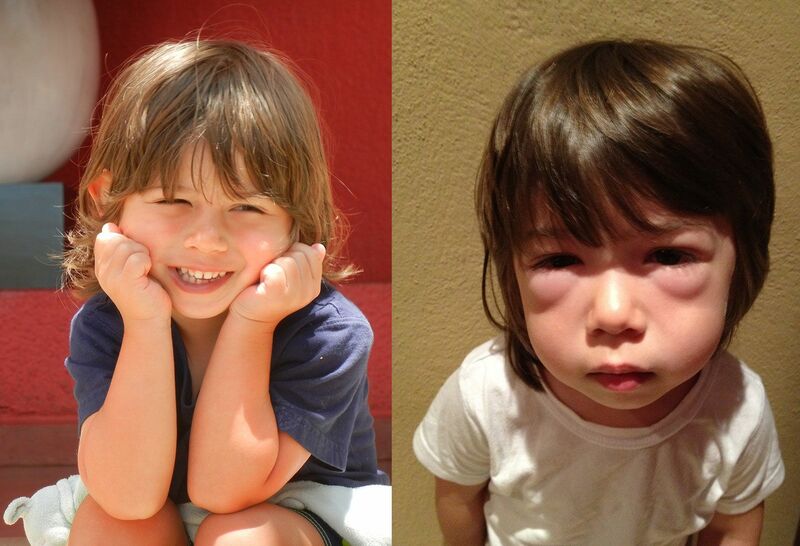 So yes: Being the parent of a food-allergic child is stressful. Many parents say that getting support, for their children and themselves, is an often-overlooked key to coping. The challenges don’t necessarily lessen as time goes by. All parents know that they must constantly make adjustments as their child grows from defenseless baby into an adventurous toddler, then blossoms into an independent child, rebellious teen and engaged adult; it can be hard to find the right balance between protecting and setting free. Parents of food-allergic children do the same dance, but the stakes are so much higher. Clowes is acutely aware of the need to prepare her teenage son to stay safe as he takes on more of the responsibility for handling his allergy himself. Read these 5 Things a mother wished you knew about her son's food allergies. Find a doctor that specializes in pediatric allergies and immunology near you. Visit the Food Allergy and Education (FARE) website to learn more about new treatments and new research. Traveling with a nut food allergy is tough. Share your experience and read others with the No Nut Traveler.